Greg grew up in the Methodist Church in Victoria where he was baptised. In maturity, he studied for the Ministry in the Churches of Christ, and has a Bachelor of Theology from the Melbourne College of Divinity, an Ecumenical Theological College. He was involved in discussions on behalf of the Churches of Christ with a view to that denomination joining with the Uniting Church in Australia, and was very disappointed that his denomination chose not to proceed. He was inspired by The Basis of Union. In 1986 Greg graduated with a Master of Theology from Ruschlikon, Zurich, Switzerland, and in 1989 he was appointed as Lecturer in New Testament Studies in the Churches of Christ Theological College, Victoria. In 1993 he became the Principal of that College, in 1994 gaining a Doctor of Theology degree from Melbourne College of Divinity. 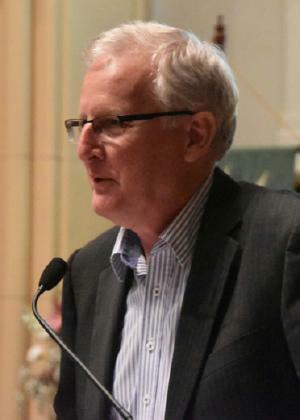 Greg has since served as the Ministry Team Leader in the Blackwood Churches of Christ Congregation in Adelaide, as an Aged Care Chaplain with that denomination's Life Care Inc, been a self-employed Consultant and the Executive Director of St Paul's City Ministry (Ecumenical appointment), both part-time. 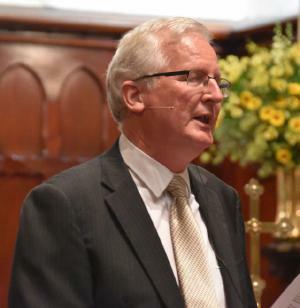 Most recently Greg has completed almost seven years as the State Minister and CEO of the Churches of Christ in South Australia and Northern Territory. 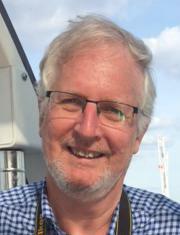 He has been seconded to the Presbytery of South Australia for this appointment to Pilgrim Uniting Church. He knows and affirms our diversity in worship and theology and our hospitality. He is excited by the vision and mission directions of this Congregation and to being part of our witness as "a church for the city".